Can you tell by the picture? 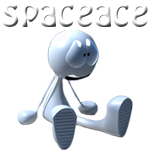 Last edited by spaceace on Sun Aug 27, 2017 6:41 pm, edited 1 time in total. Sooo you're finally on your way to my place?!! Any chance the next time you get one of them fish you can sneak a couple dried fillets to Gnome land !